Value-priced fire protection for all your important files. Insulated steel construction with a durable powder coated finish. UL one-hour fire and impact tested. Locking drawers operate on full-extension ball bearing slides. Insulation between drawers makes each drawer a separate, fireproof unit. 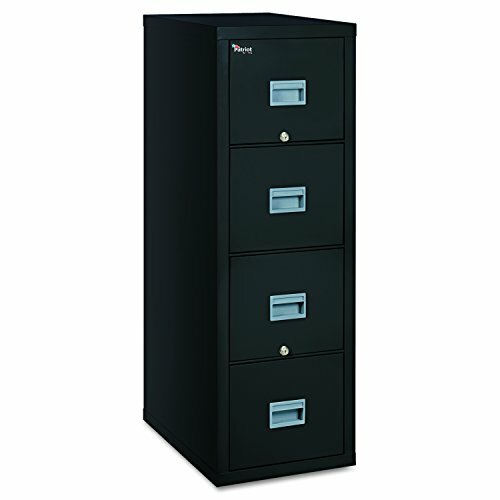 Color: Black; Overall Width: 17 3/4"; Overall Depth: 25"; Overall Height: 52 3/4". UL one-hour fire and impact tested. Locking drawers operate on full-extension ball bearing slides.